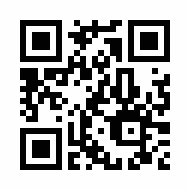 Scan the QR code in your smart phone app to load our Facebook page. Council now has a Facebook page Kāpiti residents are encouraged to like the page to get regular updates on issues in our District. Information on roads, sports and leisure facilities, libraries and events are posted and feedback is welcomed.